San Jose police on Saturday are investigating a suspicious death after finding a man suffering from serious injuries at an elementary school, police said. 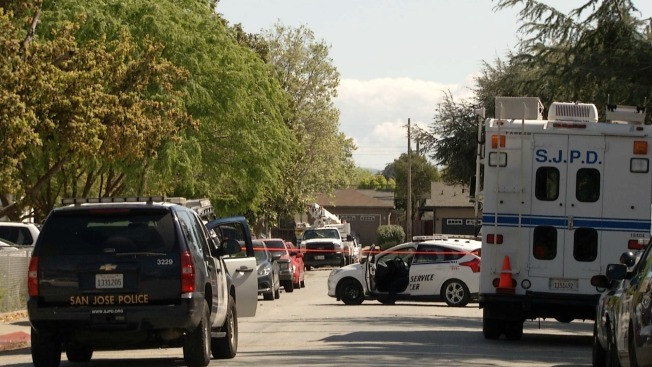 Police were notified just after 10:15 a.m. that a man with "visible injuries" was down on the ground at Toyon Elementary School, which is located along the 900 block of Bard St. The man, who police say is between 25 and 30 years old, was not breathing, according to police. Responding officers found the man to be suffering from "serious injuries," police said. The unidentified man was pronounced dead at the scene. Homicide investigators were dispatched to the scene, according to police. "(The investigators) are looking into it," Lt. Mike Sullivan with the San Jose Police Department said. "They're going to do all the things they do and they're going to try and figure this thing out." The news shocked some residents who say their neighborhood is typically friendly and safe. "To hear a body was found here, that's very surprising," John Barreras said. "It's a little unnerving at this time right now." No suspects have been identified or apprehended at this time, police said. A motive is also not yet known at this time. Anyone with information is asked to call the San Jose Police Department's Homicide Unit at 408-277-5283. Those wishing to remain anonymous may call Crime Stoppers at 408-947-7867.